A blasphemous ice cream chain called "Sweet Jesus” has recently opened in the United States. The company's name and logo are seriously offensive. The first S in the word Jesus is a lightning strike, reminiscent of the Nazi style used by the SS, and the T in "SWEET" is often shown as an inverted Cross on the company's various products. The website of the parent company, Monarch & Misfits, has said Sweet Jesus is a restaurant specializing in "soft serve and beverages for sinners." The same website claimed "240 pimped out cones soft served every day." They also called one of their items "Oh Sweet Baby Jesus!" We cannot remain silent while Our Lord is blasphemed! Please sign our petition, telling Monarch and Misfits to change its name immediately. 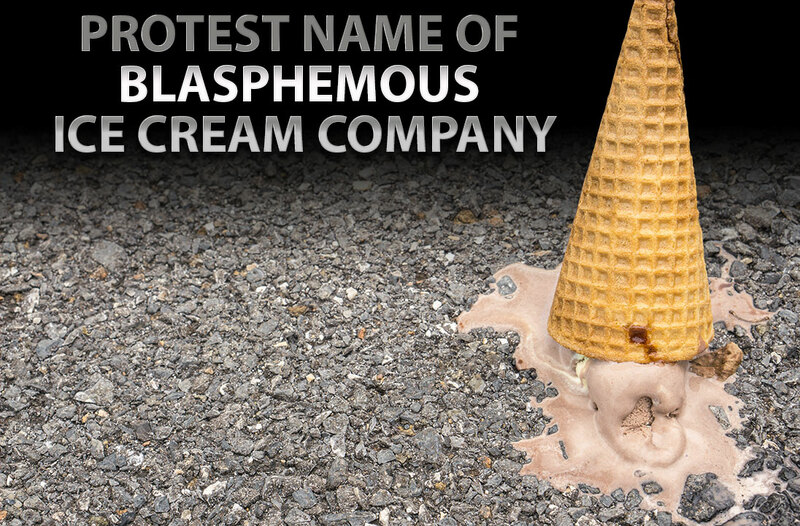 Blasphemy is not advertisement!